High quality stainless steel material, solid steel is strong, durable and easy to disinfect. Smooth, rounded teeth are gentle to the skin Regular combing helps prevent hairballs density of each are not identical, wide feet can comb pet coat, thin foot can comb pet knot of hair. Smooth different spaced teeth to efficiently work out matted hair and get rid of all tangles, debris, fleas, mites, ticks, and dandruff. 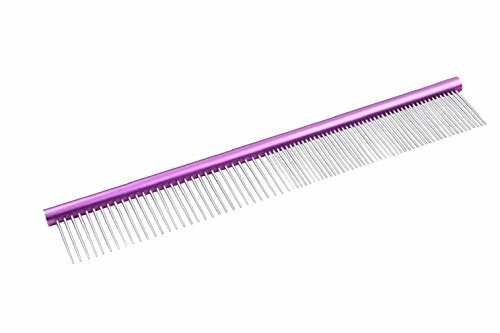 Stainless steel teeth is sturdy and durable to comb, and it will not cause any allergies or side effects to your pet.Besides,Lightweight offers fatigue-free comb. If your pets will not interest to this comb, please feel free to contact us within 30 days for full refund! If you have any questions about this product by LHome, contact us by completing and submitting the form below. If you are looking for a specif part number, please include it with your message.